Antique Silver Tone, Clear Rhinestone Fish Hook Dangle Angel Wing Earring Set. 1" X 3 1/2". Antique Silver Tone Green Abalone Epoxy Clear Rhinestone Dangle Post Earring Set. Drop length 1 7/8". Antique Silver Tone, Green & White Shell Epoxy Round Dangles Fish Hook Earring Set. Drop length 1 1/8". 5/8" diameter. 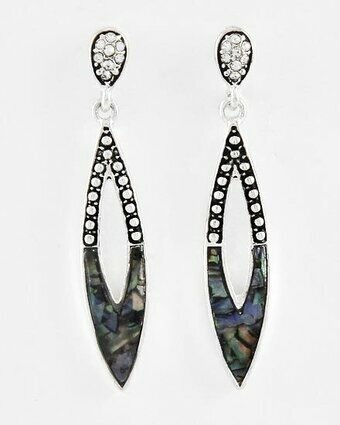 Silver Tone, Multi Color Abalone Shell Fish Hook Leaf Dangle Earring Set. 1/2" X 1 5/8". Silver Tone, Turquoise Stone Fish Hook Oval Dangle Earring Set. 3/8" X 1 7/8". Drop approximately 1/2". Post stud back. Drop Approximately 0.75". Post stud back. Drop approximately 2 1/2". Fish hook ear wire. Drop approximately 1 1/2". Post stud back. Drop Approximately 0.4". Post stud back earrings. Drop approximately 3 1/2". Fish hook ear wire. Drop approximately 2". Fish hook ear wire. Tri-tone Fish Hook Tear Drop Dangle Earring Set. 1 3/8" X 2 3/8". Silver Tone Turquoise Stone Post Round Button Earring Set. 3/4" diameter. Turquoise Stone Fish Hook Western Theme Cowboy Hat & Boot Dangle Earring Set. 1" X 2 3/4". Two-tone Fish Hook Teardrop With Flower Dangle Earring Set. 7/8" X 1 1/4". Western Horseshoe Patina Fish Hook Dangle Earring Set. 3/4" X 2 1/8". Western Horseshoe Tri-tone Fish Hook Dangle Earring Set. 3/4" X 2 1/8". Antique Matte Gold Tone Fish Hook Butterfly Dangle Earring Set. 3/4" X 1 3/4". Antique Silver Tone, Blue Clip-on Sea Life Starfish With Seashell Dangle Earring Set. 3/4" X 1 1/8". Antique Silver Tone, Clear Rhinestone, Fish Hook Tear drop Dangle Earring Set. 3/4" X 1 3/4". Antique Silver Tone, Fish Hook Sea Life Starfish Dangle Earring Set. 1/2" X 1 1/2". Antique Silver Tone Metal, Seashell Dangle Fish Hook Earring Set. 1 1/8" X 1 1/2". Antique Silver Tone, Blue Glitter Epoxy, Fish Hook, Sea Life, Fish Dangle Earring Set. Drop length 1 1/4". Drop Approximately 2.75". Latch back. Gold Tone, Black Acrylic & Glass Crystal, Light Blue Opal Rhinestone Fish Hook Tear Drop Dangle Earring Set. 3/4" X 2 3/4". Burnished Copper Tone Metal, Fish Hook Circle Dangle Flower Earring Set. 1 5/8" X 2 7/8". Burnished Copper & Burnished Silver Tone Fish Hook Circle Dangle Earring Set. 1 1/4" X 2 1/4". Burnished Copper & Matte Silver Tone Fish Hook Dangle Earring Set. 3/8" X 2 1/2". Burnished Copper Tone Fish Hook Dragonfly Dangle Earring Set. 1/2" X 2 1/8". Burnished Copper Tone, Brown Leatherette, Fish Hook Leaf Dangle Earring Set. 7/8" X 3 1/4". Burnished Gold Tone, Metal, Post, Button Flower Earring Set. 5/8" diameter. Burnished Gold & Burnished Silver Tone Fish Hook Circle Dangle Earring Set. 1 1/4" X 2 1/4". 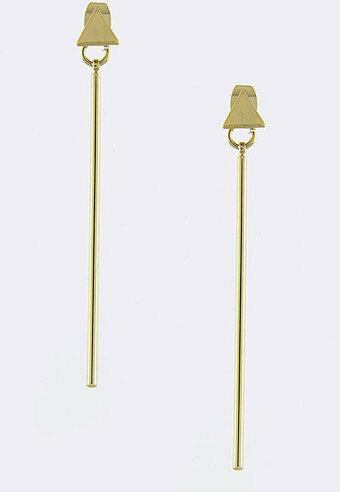 Burnished Gold Tone Fish Hook Circle Dangle Earring Set. 1 3/8" X 2 1/8". 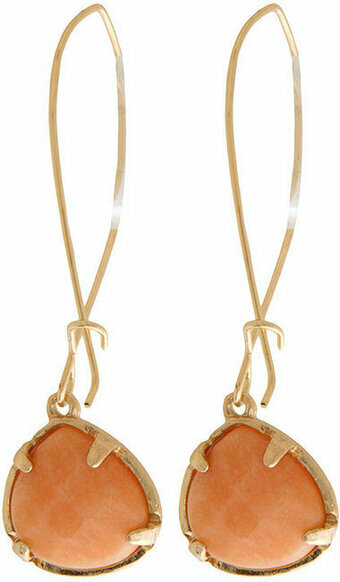 Burnished Gold Tone Fish Hook Dangle Earring Set. 3/4" X 1 7/8. Burnished Gold Tone Hoops Filigree Earring Set. 1 5/8" X 2". Burnished Gold Tone Lever Back Elephant Dangle Earring Set. 3/4" X 1 1/2". Burnished Gold Tone, Metal Post Paisley Dangle Earring Set. 5/8" X 7/8". Burnished Gold Tone Post Button Angel Wing Earring Set. Drop length 2". Burnished Silver & Gold Tone Fish Hook Dangle Earring Set. 1" X 1 1/2". Burnished Silver Tone & Patina Fish Hook Dangle Earring Set. 3/4" X 2 1/8".